What’s special about the BX-110 for Super NES? Final design colors will vary from photo. Prototype in photo is painted, final will be molded in colored plastic. Hi, I’m Benj Edwards, a tech journalist and historian. 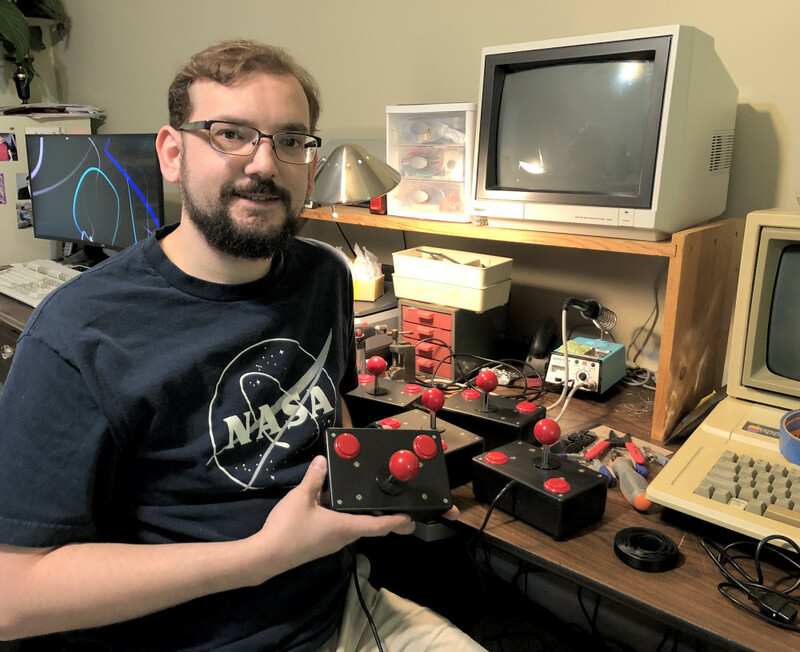 Since August 1st, 2018, I’ve been hand-building joysticks and selling them through Twitter (@benjedwards). So far I’ve built and shipped over 100 joysticks around the world for platforms such as Atari/Commodore, NES, Genesis. Right now I’m focusing on my new Super NES stick, the BX-110. When hand-building the BX-110, I usually sell it for $150. They are complex to wire and prepare. 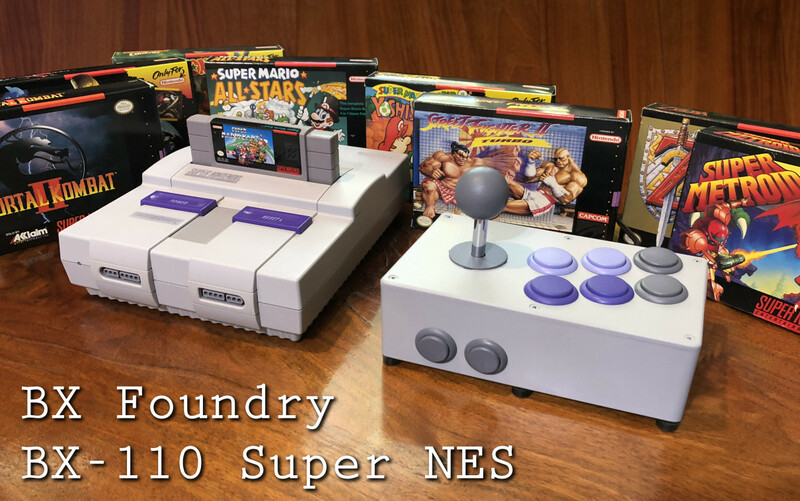 I have hand-built four BX-110s so far (example), and they are wonderful for almost any type of Super NES game — even platformers. 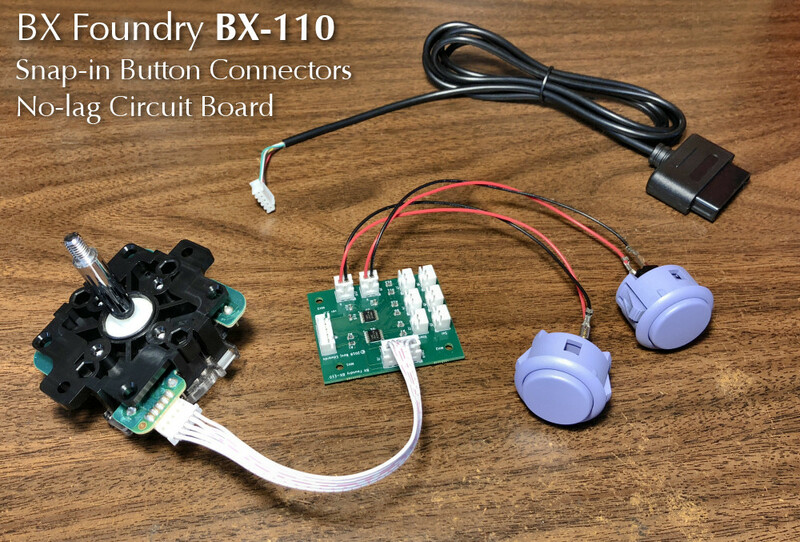 This run of BX-110s is going to be slightly different from my other creations, because I am getting pre-orders so I can afford to buy larger quantities of parts, which will keep the costs lower. 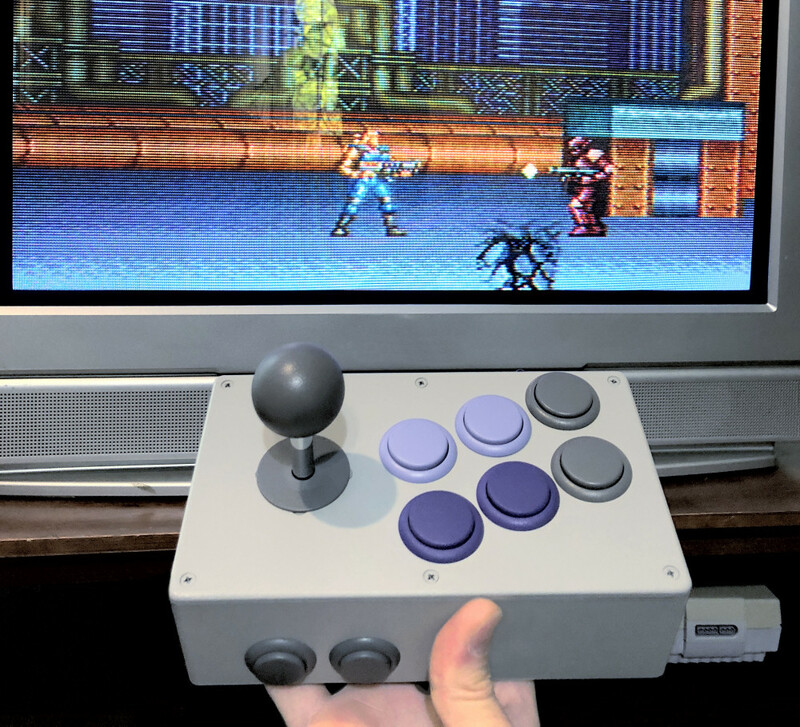 Each BX-110 will come with a custom-designed circuit board that is electronically equivalent to a SNES pad. No lag. Over 70 BX-110s sold so far! Come join the BX Foundry revolution. Cable Length: 5 ft. 8 in. Benj’s joysticks are the best I’ve ever owned and I own quite a lot. In the old days Quickshot 2 Turbo. I just bought 2 brand new sticks from @benjedwards. These are hand built and he does then for a range of consoles (nes, snes, etc) & computer's. I commissioned @benjedwards to make a custom BX-90 NES stick with Bluetooth. It’s awesome, never beat the first Holy Diver boss before! Shout out to @benjedwards for giving me a better way to play Section Z. Also shout out ZECRON for leaving a maxed-out endgame save file on the disk before pawning it. Me: I'm bummed that my PSX repair didn't work. And it's raining. And in exhausted from a 4-hour meeting. Postal carrier: Here, have this custom-made @benjedwards BX-80 joystick. If you're looking for a D-pad… frankly, I've never used one that's as good as Nintendo's own first-party pads. I'm diggin' Benj's joystick, though. It has a light touch, and button-mashing is very satisfyingly noisy. 02/26/2019: Case plastic Color sample chips accepted by Benj. Color match! 03/11/2019: First case milling sample received. Several small errors present; reported back to mfg. 03/19/2019: Second case milling sample received. Two small fixes suggested. 03/20/2019: Final case drawings approved by Benj – case production due to start soon! Current Status (03/24/2019): Waiting on production of finalized cases and a second bulk shipment of joystick parts from Sanwa. ETA: At the moment, I can’t see the sticks shipping any sooner than April or May, although it could be longer. Remember that even once I have all the parts, one man (me) has to assemble and pack and ship 78 sticks. As much as I hate the delays, I am going as fast as I can. Thanks for your patience — if anyone wants a refund, just let me know.